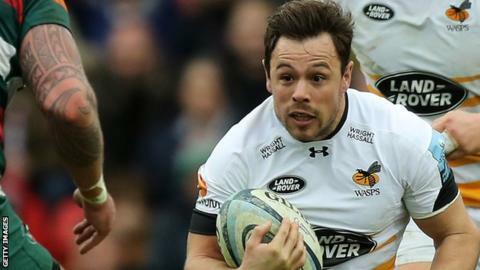 Utility back Rob Miller has signed a new deal at Premiership side Wasps. Miller, 29, is predominantly a full-back but can also fill in at fly-half as back up to Lima Sopoaga, Jimmy Gopperth and Billy Searle. The ex-Newcastle and Sale back has made 16 appearances this season and scored a total of 19 tries in 98 matches for Dai Young's men. "Rob is a player you can always count on to play a role in the team," director of rugby Young said. "The culture is something that is very important here at Wasps and Rob is a fantastic character around the place."